Stay on top of food portions and ingredients with a digital scale that's designed to help you eat healthier meals. 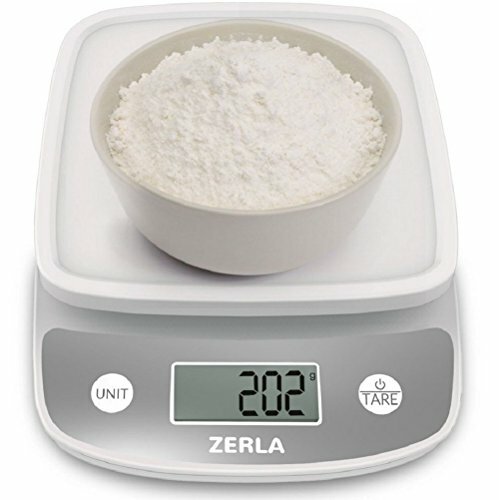 Portable, durable and easy to use, the Zerla food scale helps you make better decisions with your food so you can live a longer, healthier, happier life. Whether you're looking to enhance your New Year's work out resolutions to eat healthier and work out more, or you just want to start counting your calories to lose weight, our versatile scale will be there to help you measure out your goals every day. If you have any questions about this product by ZERLA, contact us by completing and submitting the form below. If you are looking for a specif part number, please include it with your message.